If you’ve never cooked with wine, now is the time to stock up and give it a try. Using wine in your recipes adds a delicious layer of flavour you can’t find with any other ingredient. At the same time, the wine adds moisture to many foods and can be used in marinades to tenderise meat. 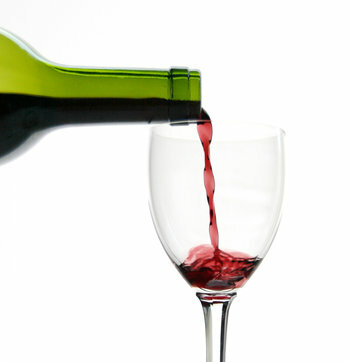 There are plenty of recipes that call for wine and the experts suggest choosing one that you’d be happy to drink. Give these mouth-watering dishes a try and see just why cooking with wine is such a great choice. This beef bourguignon recipe is an ideal one to try if you’re new to cooking with wine. In fact, this is one of the most traditional recipes when it comes to using wine. This dish came to be as a way to cook with and serve cheaper cuts of beef, which generally tend to be on the tough side. The meat is enhanced with a delectable blend of onion, garlic, celery, bacon and mushrooms. The addition to Burgundy wine gives it a depth of flavour that is both rich and delicious. Many recipes that use wine tend to call for red wine, but this one makes great use of white wine. It’s used in a marinade to give flavour and moisture to the broad beans used in the salad. The delightful burst of taste in each of the beans pairs well with the tangy and rich flavour and texture of the goat’s cheese. Usually you see red wine used in a beef recipe, but don’t overlook how wonderfully it pairs with salmon. This recipe combines the richness of red wine with the creaminess of salmon, then grills it to create a mouth-watering dish that will be both delightful and surprising. Eating salmon is a healthy choice and this dish allows you to give it a delicious new twist. You probably know that white wine is the best choice for sipping with seafood, so it makes sense that white wine is your best choice when cooking seafood. Creamy scallops taste wonderful served in this recipe’s white wine sauce which includes tomatoes and shallots. Pasta is a no-brainer with scallops, so the ravioli is the ideal food for sopping up the leftover sauce. No recipe collection is complete without a dessert to finish off any meal. If you’ve never considered using wine to bake, it’s time to change your thinking. The red wine in this cake really brings out the decadent chocolate flavour and turns this into a dessert that will have people wondering what your secret ingredient is. Don’t forget to serve it with a scoop of ice cream. Whichever recipe you choose, always remember to use a good wine. If you wouldn’t drink it, don’t cook with it. Brought to you by our friends at winedirect.com.